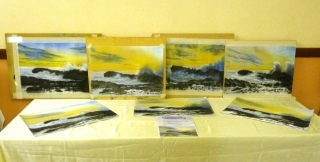 Please check the meetings page for dates of workshops and demonstrations. 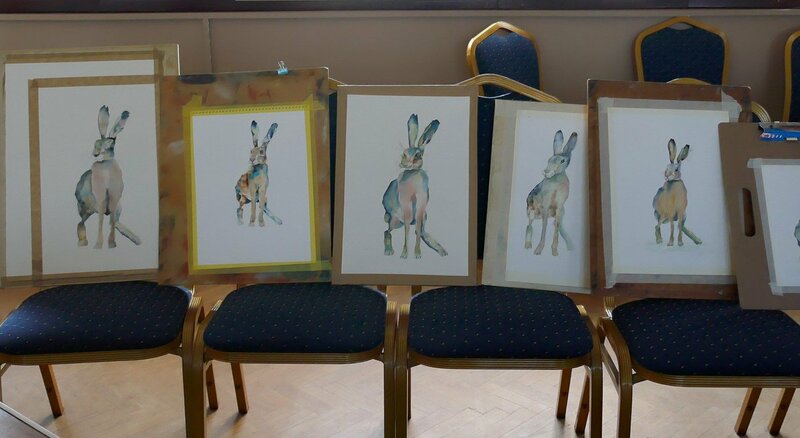 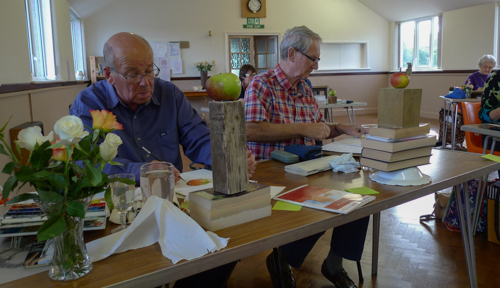 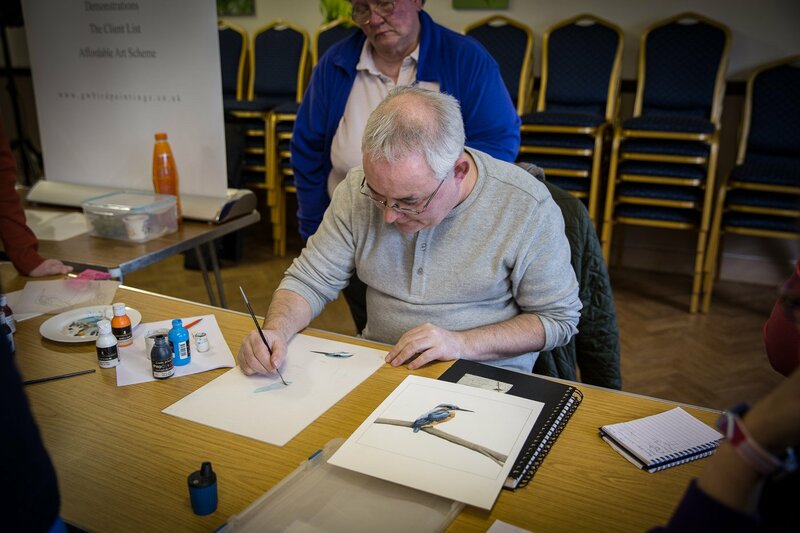 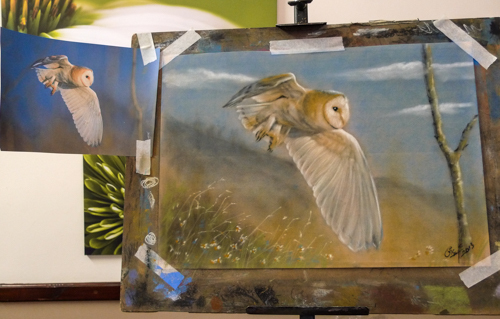 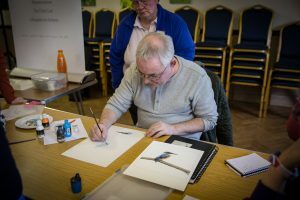 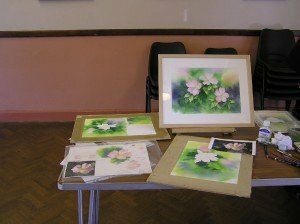 We try to hold workshops regularly where each member attending can create their own painting following step by step instructions from an artist. 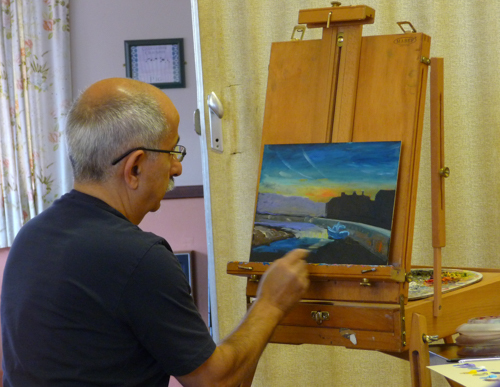 The workshops can be half day or more usually, full day (10:00 am – 4:00 pm). 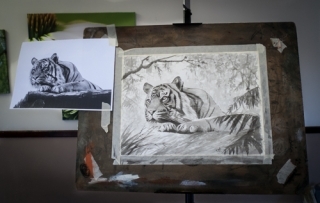 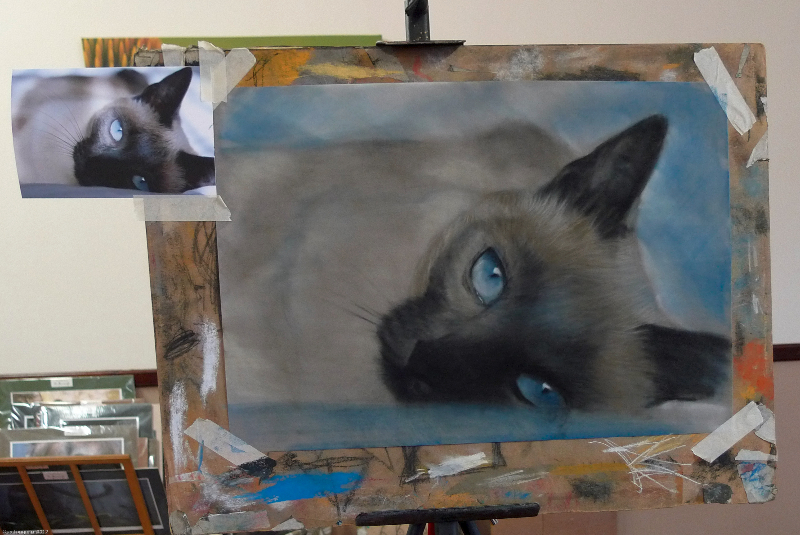 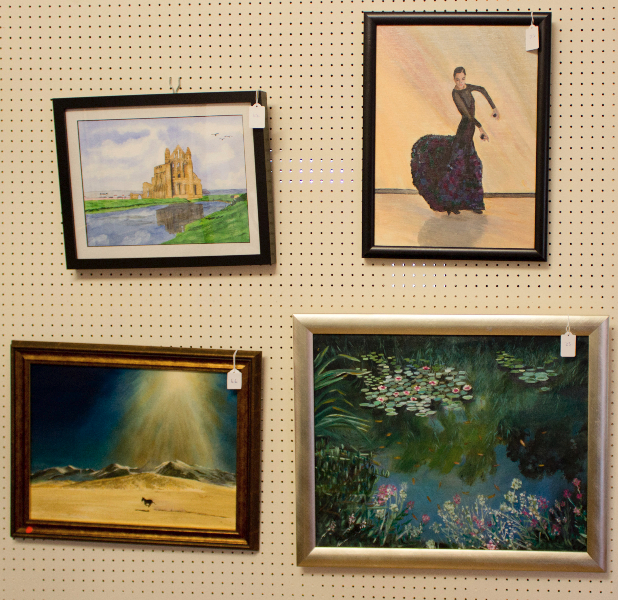 Many members prefer workshops to demonstrations because they learn techniques more thoroughly, get individual attention for any problems and go home with a finished or almost finished work of art. 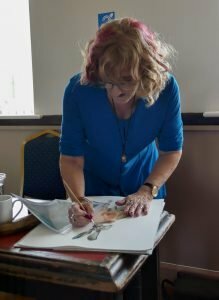 The photos below show the sort of thing we get up to. 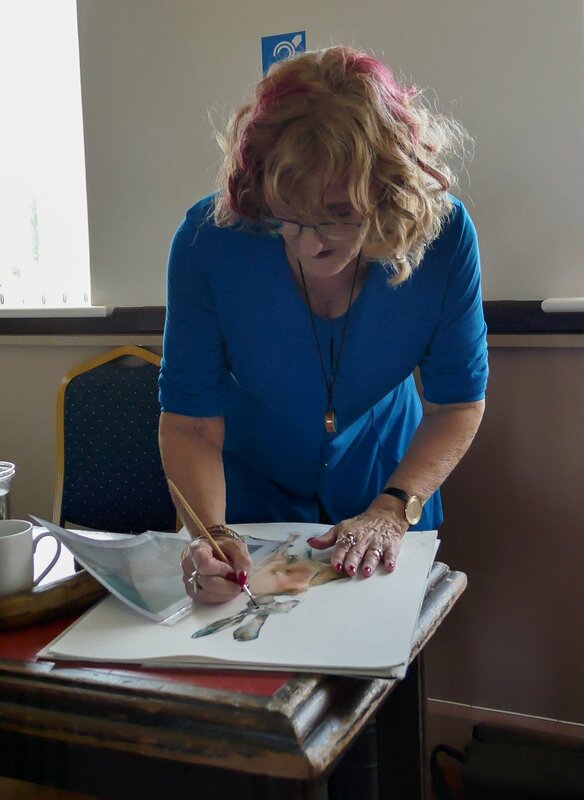 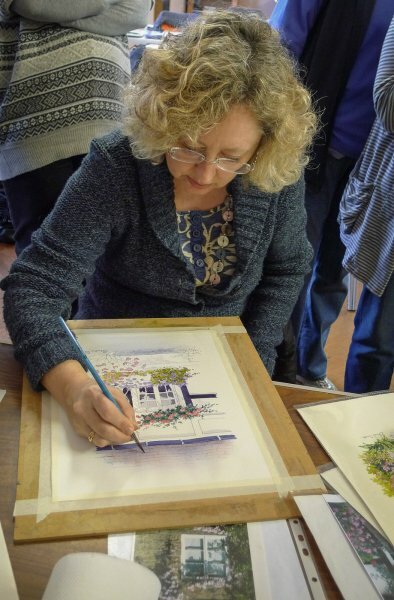 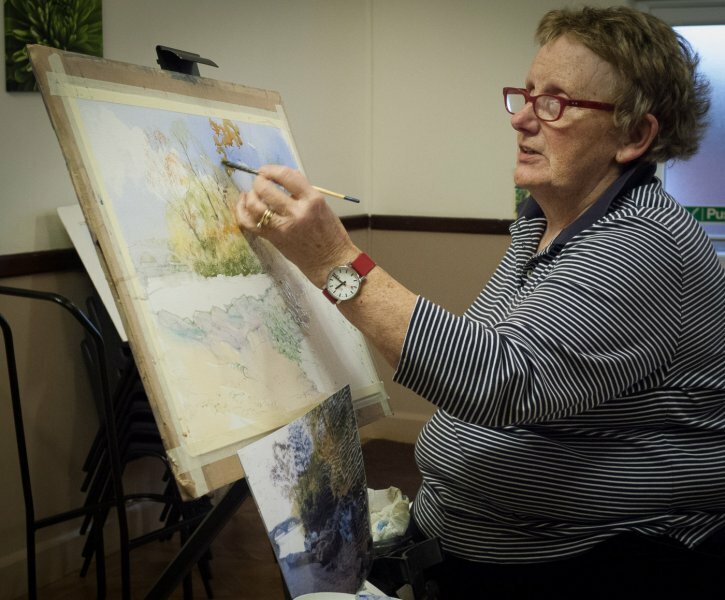 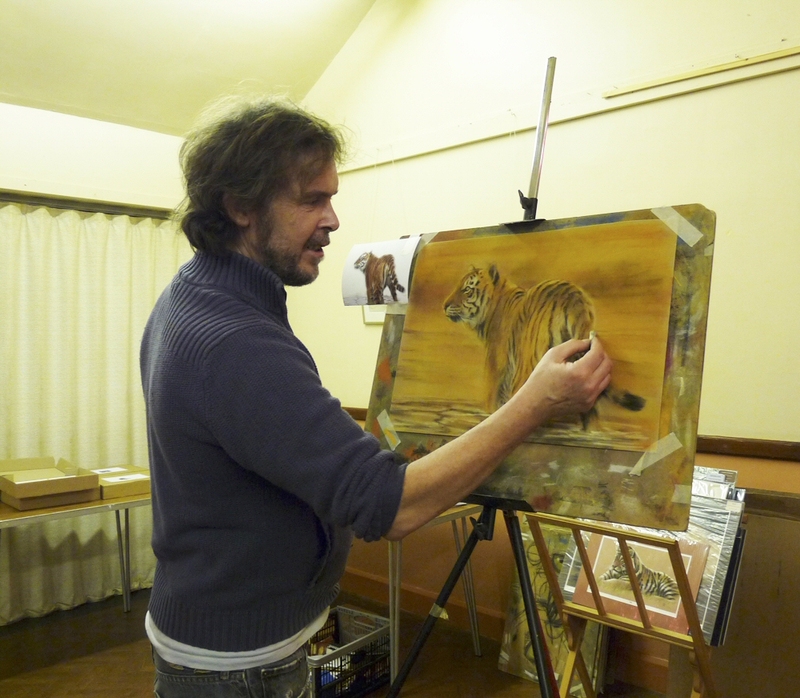 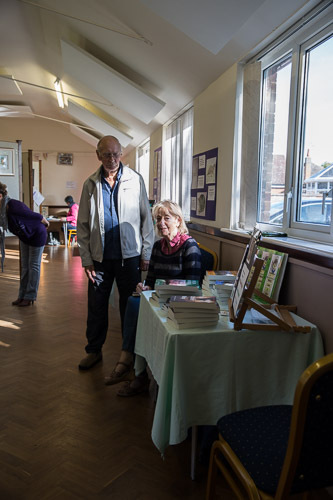 November 2015 saw our old friend Liz Haywwod back for a watercolour workshop. 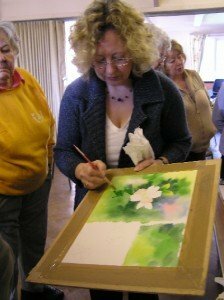 Using Clumber Park as a reference we learnt how to tackle reflections in water. 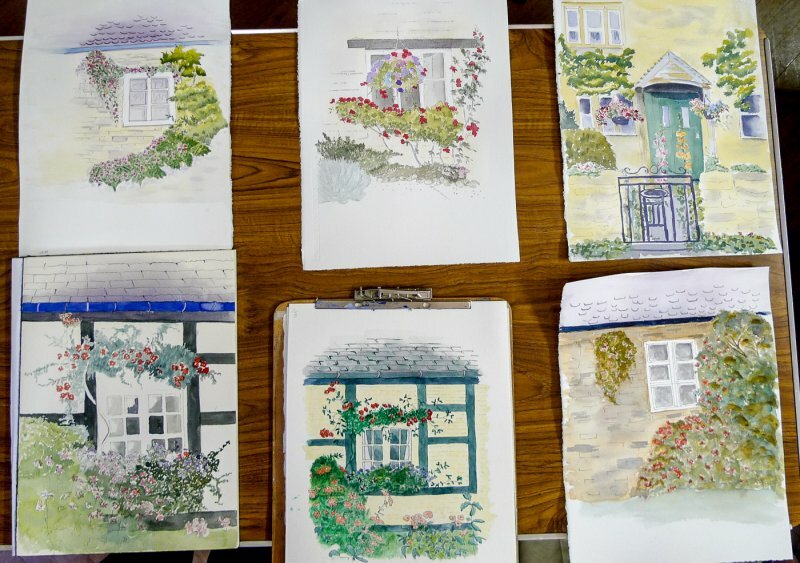 Gwen Scott held a watercolour workshop in 2014 where we painted flowers around a cottage door. It was good to see such varied results. 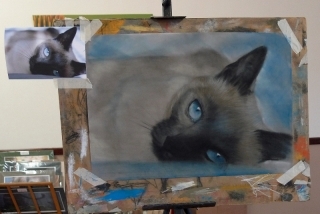 All good I hasten to add! 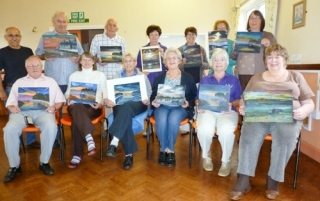 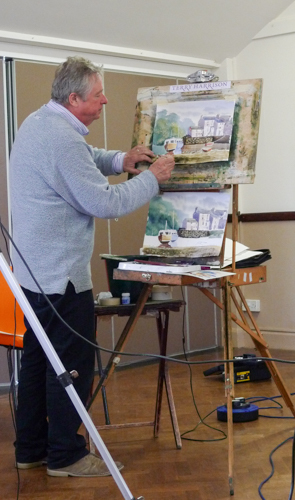 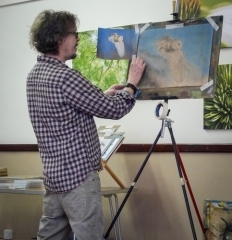 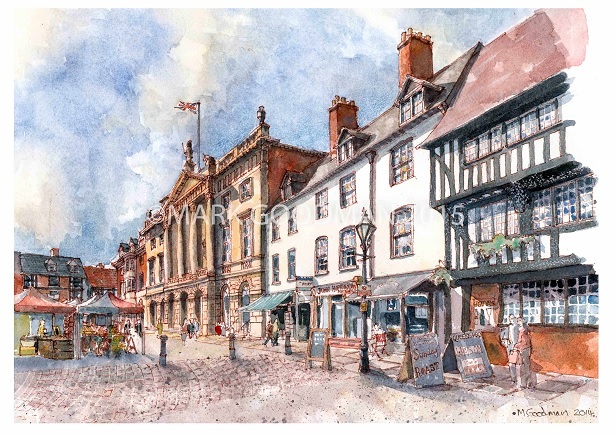 In May 2013 Terry Harrison ran a workshop in painting a quayside in watercolours. 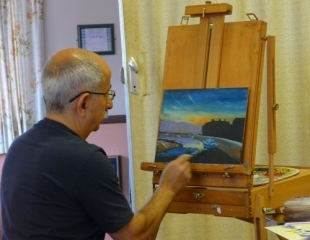 He showed us some very useful brush techniques too.